Interview & Giveaway! 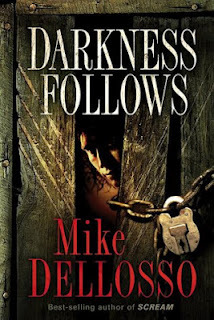 Mike Dellosso ~ Author of Frantic! 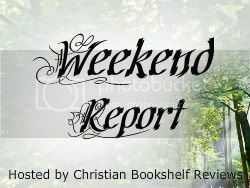 Welcome to Christian Bookshelf Reviews, Mike! 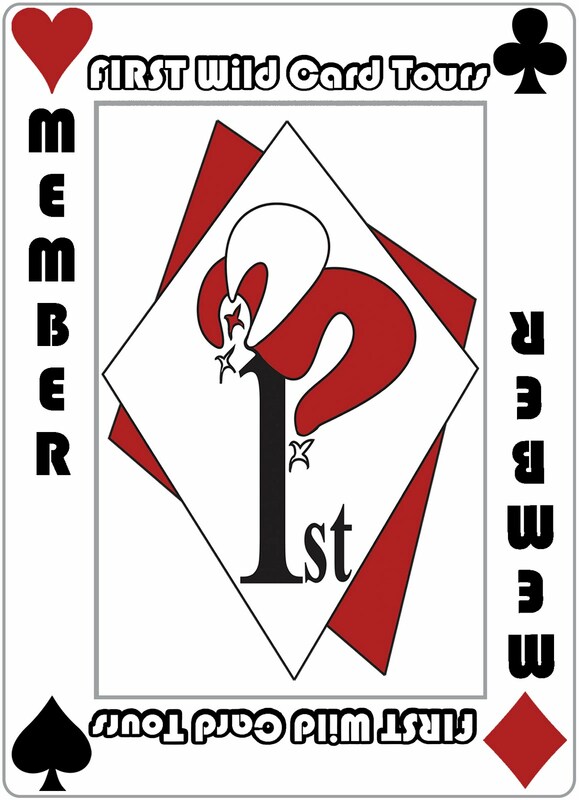 Will you tell us a little about yourself? Hi Melanie, well, I'm turning 40 this year. In some ways I feel much younger than that but in other ways I swear I must be hitting 50. My wife and I are also celebrating 15 years of marriage this year. I have four daughters and work full-time in physical therapy. Writing is a passion of mine but right now one I can only do on a part-time basis. I do my writing in the early morning while everyone else is still sleeping. That way it doesn't interfere with family time and responsibilities. I'm also a cancer survivor, been free of colon cancer now for 4 years. 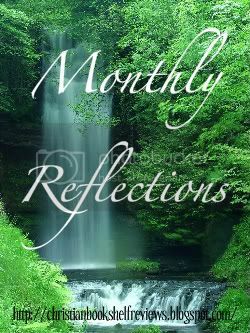 God has blessed me in more ways than I deserve and I just want to honor him with the ability and opportunity he's given me to write. Frantic is about Marny Toogood, a regular guy thrust into an extraordinary circumstance. He embarks on a mission to rescue Esther and her little brother William from their deranged and overly-possessive "uncle," Gary. What he doesn't realize is that the evil that lurks in Gary is much darker than he ever expected. 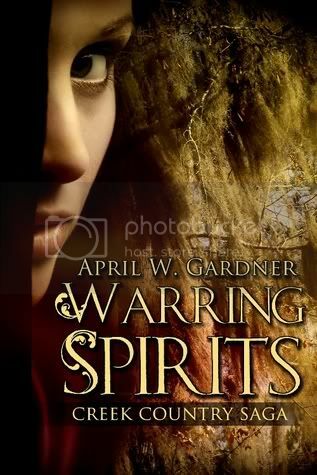 Soon his world becomes one of running for his life, near death experiences, serial killers, and a boy with a very unusual gift that will change Marny's life forever. September, 1998. My brother-in-law was in a very serious motorcycle accident and given little chance to survive. I turned to writing as a way of dealing with the emotional upheaval I experienced. It was an outlet. I fell in love with it and haven't stopped writing since. By God's grace, my brother-in-law pulled through is just fine now. Frantic is my fifth novel. I've also written The Hunted, Scream, Darlington Woods, Darkness Follows. My favorite is a toss-up between Darlington Woods and Frantic. I love DW because it was the first book I wrote coming off my battle with cancer and so much of my own struggles and fears and anxieties and uncertainties made it into the story. So much of the story is symbolic for me. Frantic I love because of the trio of main characters. I just adore them. Ideas come from a million different sources. I'm always looking for ideas. As I walk through the mall, work with my patients, drive around town, read the paper, watch the news, talk to different people. I'm constantly filing things away in my brain for later use in a story. I get information from research. I don't do a ton of research for a novel, just enough to make it feel authentic and make it look like I know what I'm talking about :) I do online research, sometimes visit the locations, talk to experts (police, lawyers, doctors, etc.). Whatever it takes to get those details right. Details make all the difference and give the story and setting a feel of authenticity. Best part is knowing I'm making a difference in the life of readers. My stories all contain very meaningful and profound themes and I get a lot of feedback from readers about that. It's important to me to make my writing count and it brings great satisfaction knowing the message is getting through. The worst thing is the insecurity writing brings. A writer lives (in a loose sense of the word) one contract to the next. And everything depends on sales and impact. There's no let up on the uncertainty about how a manuscript is going to be received, how the editing is going to go, how the book will be received in the market place, how reviews will go, how sales will pan out. I'm learning to just trust God, to do my best and then put it in his capable hands and not worry about it. How vulnerable I could be on the page. I use my own experiences and emotional blue print a lot when creating characters. I can really pour my soul out on the page and the reader never has to know how personal I'm getting. Also, the freedom writing gives me to express myself. My whole life I've struggled with stuttering. When I was young (through college) it was really bad. Ever see The King's Speech? Yeah, it was that bad. So mostly I stayed quiet because talking was just too much of a chore and embarrassment. When I started writing I found a freedom I'd never known before. I'd found my voice and could say exactly what I wanted to say and express myself exactly how I wanted to without stuttering. Spend time with my family. I adore my family and wouldn't want to be with anyone else except them. I'm a homebody by nature and just love being around my wife and kids. I used to enjoy golf, but then it got too expensive and I got too short on time. I like watching movies, reading, hiking. Really? I could do without anything except those three. Okay, maybe clothes, a house. But as far as material things go I have little connections. I need my computer for writing; it's kind of part of the job. And I need a car to get around. So maybe those two. I'd love to go to New Zealand or anywhere in Italy or Ireland. Favorite movies . . . Suspense: I am Legend; Action: The Bourne Trilogy; Fantasy: Lord of the Rings; Sci Fi: Star Wars (episodes 4, 5, 6); Drama: Last of the Mohicans; War: The Patriot or Blackhawk Down; Comedy: Get Smart. Favorite songs . . . I enjoy Christian music and various artists rather than individual songs . . . Toby Mac, Building 429, Casting Crowns, Michael W. Smith, Mercy Me, Skillet, etc. On the suspense/horror side of things I love Dean Koontz and Stephen King. 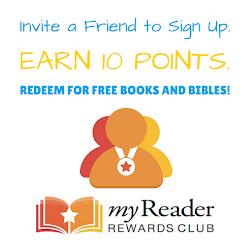 Other authors I enjoy are Charles Martin, Dale Cramer, Nicholas Sparks. Joshua 1:9 . . . Haven't I commanded you? Be strong and courageous. 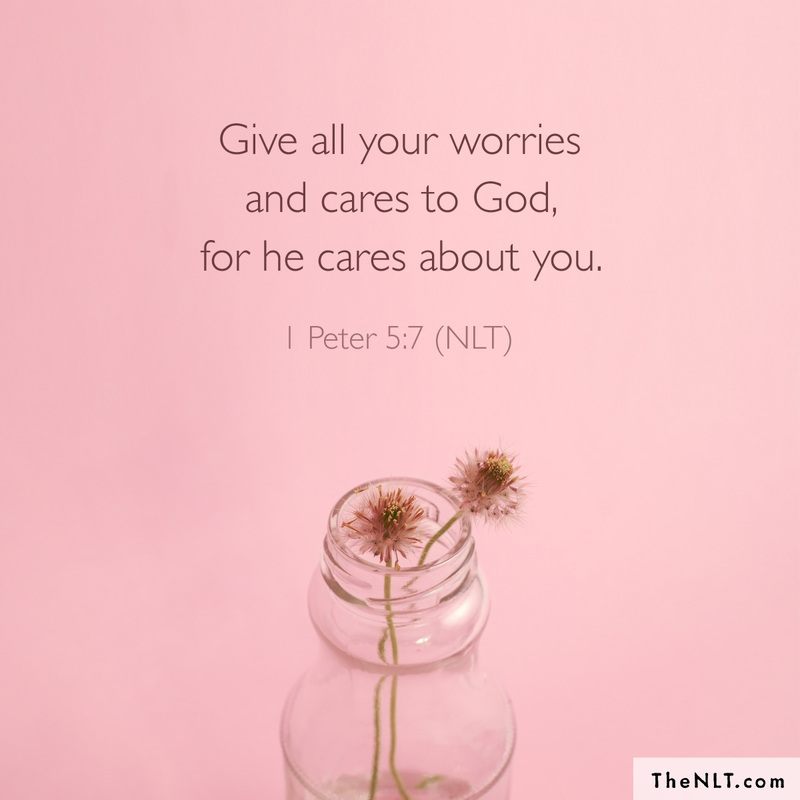 Don't be afraid or discouraged for the Lord your God is with you wherever you go. Yes! Always. I have a novella coming out in May titled Rear View. It's part of a seven-part anthology called 7 Hours. I got together with six other authors and we all wrote a novella concerning a central character, Thomas Constant, and a unique gift he gives folk on their death bed. The other authors are Rene Gutteridge, Ronie Kendig, Travis Thrasher, Tom Pawlik, Robin Parrish, and James Wilson. Look for it in e-book version first releasing May 7 from Tyndale. I'm also working on the edits for my next novel, A Thousand Sleepless Nights, releasing in October. Can't say too much about that right now other than it will be a big change for me and point my writing in a whole new direction. You can follow my blog at www.mikedellosso.wordpress.com or like my Facebook page at www.facebook.com/mikedellosso. I'm also on Twitter:www.twitter.com/mikedellosso. Thanks for having me! 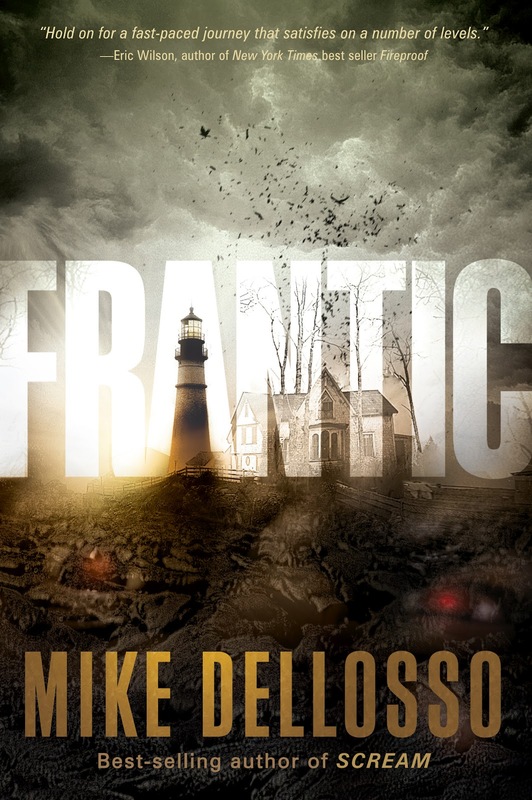 Enter to win a copy of Frantic! You can read my review here. US and Canada only. I haven't read any of Ann H. Gabhart's other novels, but after reading Words Spoken True, I look forward to reading more of her books in the future. I found Words Spoken True to be very unique and enjoyable to read. While it's a historical novel, there was a lot of suspense (and I do mean a LOT), in part because of the serial killer named "The River Slasher" and trying to catch him/her. I don't think I've ever read a historical book before that had a serial killer in it... or even heard of one. And while Words Spoken True was heavy on the suspense (which I loved) it also had much romance - so for those who love romantic books, this is for you! There are a few really intimate scenes (i.e. a marriage being consummated) and while I didn't love these scenes being in the book, it fit the story and wasn't explicit - so I didn't have a problem with it. 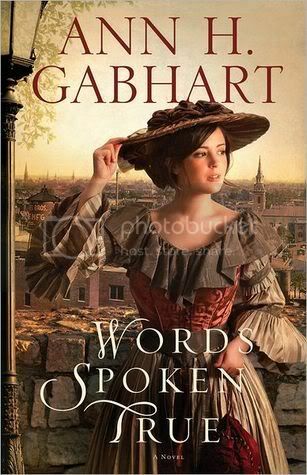 Ann Gabhart had great characters in Words Spoken True - I loved them! My favorites were Adriane, Blake, Beck, and Duff (oh, and Mr. O'Mallory, the old dog!). The way Blake and Adriane acted toward one another from the beginning was just hilarious and sweet! Yes, their papers were enemies, but in spite of that, they both felt attractions toward each other. "The River Slasher" was really, really creepy... how he/she was so cold and evil was just horrible! I was very uncertain about what might happen at the end of the book and found Words Spoken True hard to put down! I literally just started this book - I'm on page one! I am SUPER excited about both of these books! I've only read one book by Laurie Alice Eakes (Necessary Deception) and I absolutely loved that book (it's a favorite of mine). 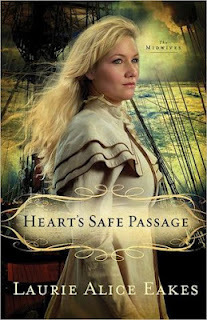 I am really looking forward to reading Heart's Safe Passage. Enter to win an eBook copy of The Unwilling Bride. Open Internationally, as long as you can receive an Amazon gift. Enter here. Enter to win The Maid of Fairbourne Hall by Julie Klassen! U.S. and Canada only. Enter here. Gas station attendant Marny Toogood thinks it’s just another ordinary day on the job until an urgent message from a young girl in the backseat of a car draws him into a daring rescue attempt. Now he is on the run with Esther and William Rose from their insane “uncle” who thinks it is his mission from God to protect William, a boy with incredible faith that gives him supernatural powers. The night Marny Toogood was born it rained axheads and hammer handles. His grandfather made a prediction, said it was an omen of some sort, that it meant Marny’s life would be stormy, full of rain clouds and lightning strikes. Wanting to prove her father wrong, Janie Toogood named her son Marnin, which means “one who brings joy,” instead of the Mitchell she and her husband had agreed on. But in spite of Janie’s good intentions, and regardless of what his birth certificate said, Marny’s grandfather was right. At the exact time Marny was delivered into this world and his grandfather was portending a dark future, Marny’s father was en route to the hospital from his job at Winden’s Furniture Factory where he was stuck working the graveyard shift. He’d gotten the phone call that Janie was in labor, dropped his hammer, and run out of the plant. Fifteen minutes from the hospital his pickup hit standing water, hydroplaned, and tumbled down a steep embank- ment, landing in a stand of eastern white pines. The coroner said he experienced a quick death; he did not suffer. One week after Marny’s birth his grandfather died of a heart attack. He didn’t suffer either. him for two hundred bucks a month. It was nothing special, but it was a place to lay his head at night and dream about the dark cloud that stalked him. But his mother had told him every day until the moment she died that behind every rain cloud is the sun, just waiting to shine its light and dry the earth’s tears. Marny held on to that promise and thought about it every night before he succumbed to sleep and entered a world that was as unfriendly and frightening as any fairy tale forest, the place of his dreams, the only place more dark and foreboding than his life. On the day reality collided with the world of Marny’s night- mares, it was hotter than blazes, strange for a June day in Maine. The sun sat high in the sky, and waves of heat rolled over the asphalt lot at the Gas ’n Go. The weather kept everyone indoors, which meant business was slow for a Saturday. Marny sat in the garage bay waiting for Mr. Condon to take his turn in checkers and wiped the sweat from his brow. Mr. Condon didn’t look up from the checkerboard. “Ayuh. and trucks through one more Maine winter for forty years. Marny studied the checkerboard, feeling the weight of Mr.
when the bell chimed, signaling someone had pulled up to the pump island. Condon’s was the only full-service station left in the Down East, maybe in the whole state of Maine. from his brow, then headed outside. day like this, the driver had to be longing for cool air. round face. Marny had never seen him before either. He approached the car and did his best to be friendly. “Mornin’. look because he saw it in his own eyes every night in the mirror. He smiled, but she quickly diverted her gaze. looked stern and callous, maybe even cruel. Marny felt for her, for her unhappiness, her life. While the man fished around in his back pocket for his wallet, Marny glanced at the girl again, but she kept her eyes down on her hands. “You folks local?” Marny said, trying to get the man to open up a little. Still nothing. The man took the money and started the car. Before pulling out he nodded at Marny. There was something in the way he moved his head, the way his eyes sat in their sockets, the way his forehead wrinkled ever so slightly, that made Marny shiver despite the heat. I had a feeling before I even started Frantic, that I would enjoy it - I just didn't know how much! As you can see, it's one of my favorite books now and I absolutely loved it! From the opening scene when Marny Toogood reads the note left by Esther, and then attempts to rescue her and her brother, I was drawn into the story. Frantic had non-stop suspense and so many twists. Just when I thought I knew what was going to happen, something totally unexpected occurred! It definitely kept me "on-the-edge" of my seat! Marny Toogood was probably my favorite character from Frantic. I loved seeing his character grow and I really hope there will be a sequel with him and the other main characters. 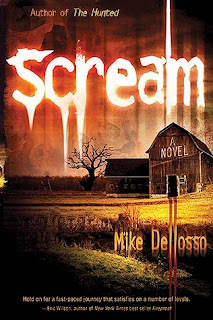 While Frantic is the first book I've read by Mike Dellosso, I now plan on reading his other books (especially Scream). 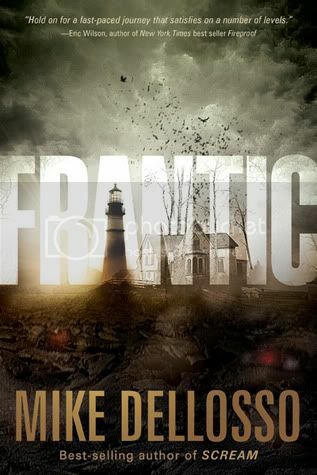 Anybody who loves suspense and/or thrillers has to read Frantic - it was great and I highly recommend it! While covertly investigating a controversial neurological research program, exposé filmmaker Jevin Banks is drawn into a far-reaching conspiracy involving one of the world's largest pharmaceutical firms. After giving up his career as an escape artist and illusionist in the wake of his wife and sons' tragic death, Jevin is seeking not only answers about the questionable mind-to-mind communication program, but also answers to why his family suffered as they did. 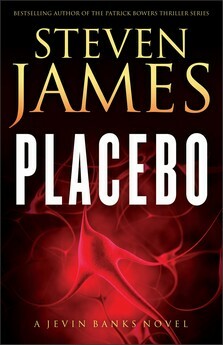 Rooted in ground-breaking science and inspired by actual research, Placebo explores the far reaches of science, consciousness, and faith. Readers will love this taut, intelligent, and emotionally gripping new thriller from master storyteller Steven James. Interview & Giveaway! 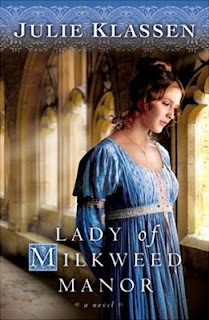 Julie Klassen ~ Author of The Maid of Fairbourne Hall! 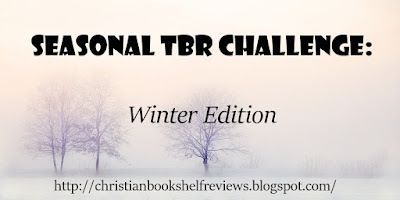 Welcome to Christian Bookshelf Reviews, Julie!! Will you tell us a little about yourself? Thanks, I'm happy to be here. 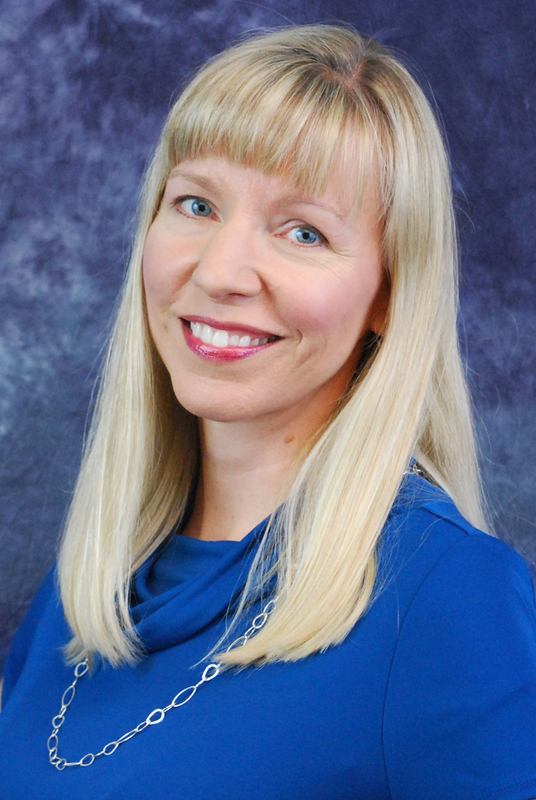 I am from Illinois originally and graduated from the University of Illinois with a degree in advertising. I worked in marketing and then as an editor for Bethany House Publishers for many years before becoming a full-time writer. I live in Minnesota with my husband of 21 years, our two sons, a cat named Mojo, and a herd of dust bunnies. What inspired The Maid of Fairbourne Hall? I’ve wanted to write a book like this for some time, first of all, because the books I write are set at a time and place (early 1800s England) where live-in servants were common. Second, because I really enjoy programs like Upstairs Downstairs and Downton Abbey which portray the lives of servants as well as those they serve. Readers I meet in person are often surprised to discover I’m tall (5’10”). I must look smaller in photographs! I have enjoyed writing stories since the second grade, according to a faded report card. And throughout school and college I took many literature and writing courses. But it wasn’t until later, after working in advertising, then as an editor, that I got serious about writing and completed my first novel. The Maid of Fairbourne Hall is my 5th book to date, and I am working on a 6th. My first published novel (Lady of Milkweed Manor) will always be special to me, but otherwise, I seem to have a new favorite each time a new book releases. It’s the honeymoon phase, I suppose. The best part is the fulfillment of knowing I’m doing what God wired me to do--and for His glory. 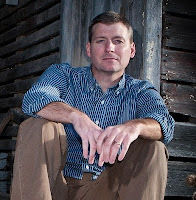 Being an author is a lifelong dream come true! But it is probably the hardest work I’ve ever done. I enjoy watching period dramas, going out to dinner with friends, watching my sons play basketball, and traveling with my husband. My husband and I would like to visit Ireland and/or Scotland one of these days. 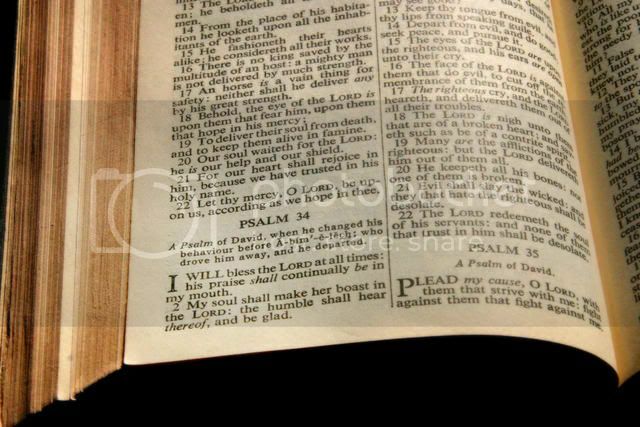 My favorite hymn is Great is Thy Faithfulness. And I loved the mini-series based on Elizabeth Gaskell’s novel, North and South. Yes, I am working on my next stand-alone Regency-era novel, called The Tutor’s Daughter. 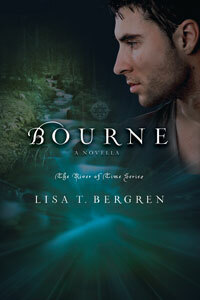 More details will be shared at my Facebook party on March 15th. Hope to see you there. I enjoy connecting with readers. Please feel free to send me an email through my website (www.julieklassen.com) or to find me at “Author Julie Klassen” on Facebook. Thanks--and thanks for having me here. 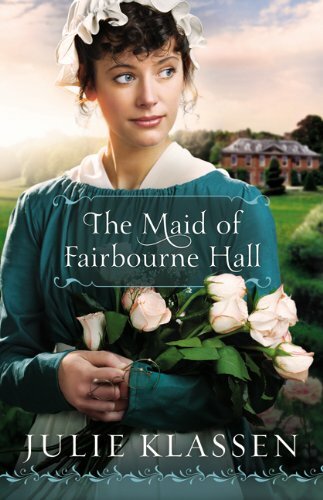 Enter to win a copy of The Maid of Fairbourne Hall! You can read my review here. This giveaway is open to residents of US and Canada only. 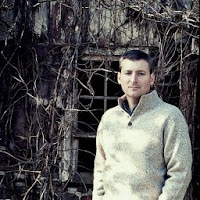 Okay, I didn't have anything to post today, so I thought I'd share a great giveaway Brannon Hollingsworth has on Goodreads! Every week, you can enter his Question Contest (currently on week 10) on Goodreads! The prize? 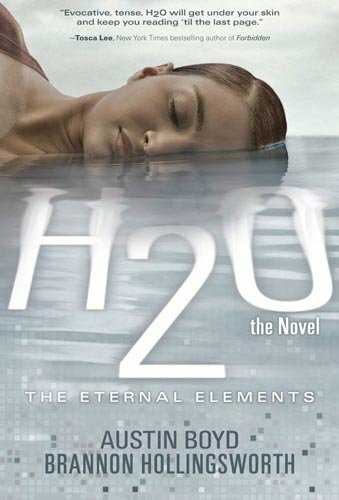 A signed copy of H2O the Novel by Austin Boyd and Brannon Hollingsworth!